Panda Express is a generous supporter of Children’s Miracle Network Hospitals, including Renown Children’s Hospital. 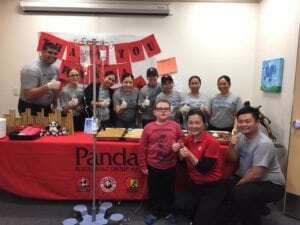 Local Panda Express locations have raised over $40,000 for children in our community and today celebrated the Chinese New Year by bringing in lunch for patients and their families and the team at Renown Children’s Hospital. Thank you Panda Express for all you do for Renown Children’s Hospital!